Join in or watch the weigh-ins at a walleye fishing tournament this summer. With Ontario’s Sunset Country being so loaded with walleye, the results are sure to be good. 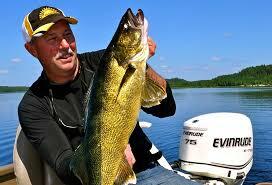 The following is a list of walleye fishing tournaments in Northwestern Ontario. For exact dates, please contact the people holding them or visit their websites. 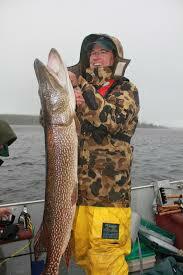 A catch-and-release tournament on the picturesque Rainy River, in Emo, Ontario. Sixty teams from Canada and the U.S. chased the top spot – and over $36,000 in prizes! Come out and enjoy the festivities this year. All volunteers are welcome! For more information contact Colleen at 807-482-1811 or 807-482-2171. This fishing tournament is specifically for young people under the age of 18, in the Red Lake area of Northwestern Ontario. The main objective of the tournament is to introduce young anglers to competitive sport fishing in a fun environment surrounded by family and friends, as well as helping to create a dream for children across the country to join in the activity of competitive sport fishing. For more information contact 807-727-3275. Walleye tournament primarily intended for young anglers – location is beautiful Wabigoon Lake near Dryden. The main objective of the tournament is to introduce young anglers to competitive sport fishing in a fun environment surrounded by family and friends, as well as helping to create a dream for children across the country to join in the activity of competitive sport fishing. For more information contact Dryden Chamber of Commerce at 807-223-2622. Fish licence-free! Take your family fishing! If you and a friend or family members would like to try fishing in Ontario waters for the first time (or the first time in a long time), mark in down in your July calendar. For three days only, Canadian residents can enjoy the fun of fishing in Ontario without a licence during the annual Ontario Family Fishing Weekend. For more information call 705-755-2551 or Toll-Free: English: 800-667-1940, French: 800-667-1840. This fishing championship is specifically for young people under the age of 18, on Lake of the Woods in the Kenora area of Northwestern Ontario. The main objective of the championship is to introduce young anglers to competitive sport fishing in a fun environment surrounded by family and friends, as well as helping to create a dream for children across the country to join in the activity of competitive sport fishing. For more information contact 204-326-4431. Don’t miss out, come and join us for a weekend of bass and walleye fishing, Day 1,-5 bass, Day 2,-5 walleye only 1 over 18 inches, Total weight of both day wins. Located at Grassy Narrows on the English River body of Water. For more information contact Rodney Castle 807-925-1010, Robert Swain 807-925-2118/468-9859 or Rudy Turtle 807-925-2662. If you’re not signed up for any of these fishing events, you’re missing out on a great time. If you’re not that interested in fishing, come on down and check out the exciting weigh-ins.